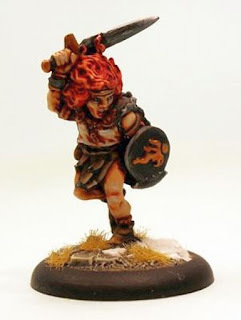 Over on alternative-armies.com, they have put out a line of Barbarians, "classic 25mm / 28mm fantasy miniatures," they report are based of minis from "Tabletop Games and Asgard in the early 1980's." See more here. Also, on miniatures-workshop.com, the Lost Minis Wiki, someone recently pointed out an old favorite, a demon from the Dungeons Dwellers line, that a buddy of mine had and our group had to slay as a Balrog here. 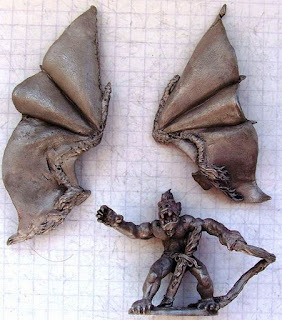 Finally, on angantyrs-games-things.blogspot.co.uk, from a year and a half ago, there is a wonderfully detailed article on Martian Metals here.